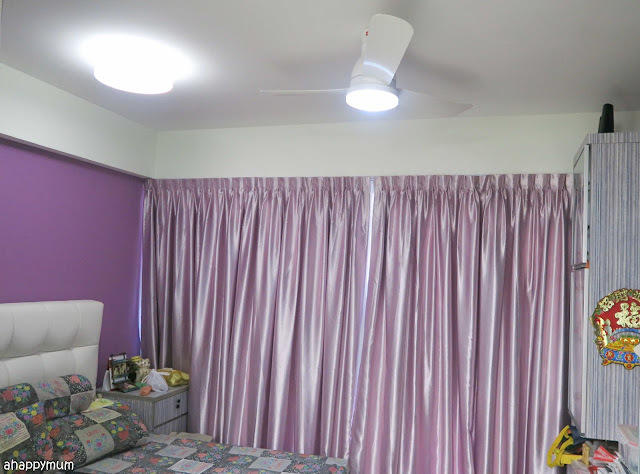 In my previous post, I shared with you my experience with ceiling fans and how they have evolved into a necessity in our home. For our new nest, we don't just have one ceiling fan; in fact, we have four - one for our living room, one for the master bedroom, one in the kid's room and one for the in-laws' studio. Yup, both my in-laws are strong advocates of ceiling fans because they truly believe that these fans are practical and they will choose a ceiling fan over an air conditioner in a heartbeat. In fact, they are also the ones who believe that KDK is one the best brands in the industry judging from their years of experience, so you bet I made them happy to hear that they were going to have a brand new KDK ceiling fan installed in their newly renovated studio. Today, I'll be sharing with you more on the U48FP - which is remote controlled, measures 48 inches (120cm) in diameter, comes in black or white colour and is your ideal solution for smaller rooms. The fans first arrived in these boxes and I was amazed by how compact and neatly packed they were. Basically, I didn't have to do anything and the electricians were the ones who opened up the boxes, took out the fans, assembled them and then installed them onto the ceiling. 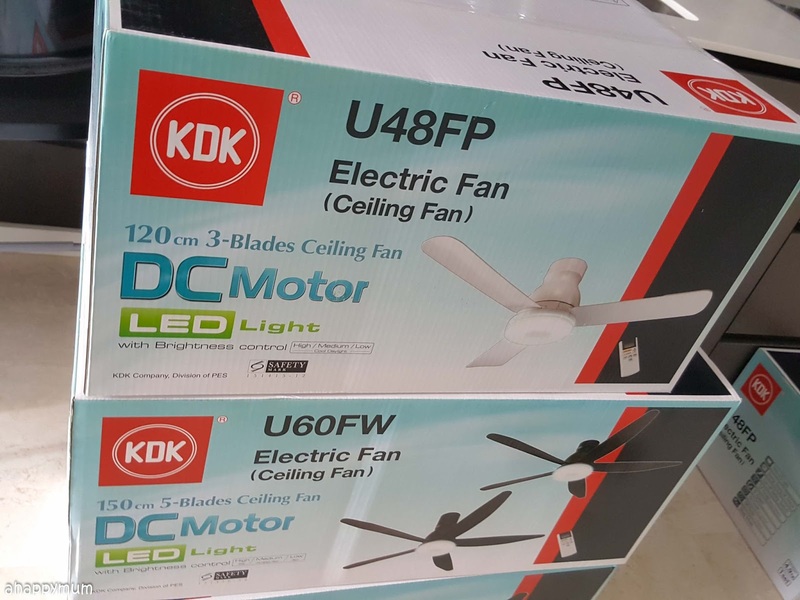 I have to first tell you that it is a skill trying to install KDK fans and if not done in the correct manner, the fans might wobble or give off a squeaking sound. Make sure that your electrician does a good job or if you want to err on the side of caution, get the KDK in-house technicians to help with the installation. This is how my in-laws' studio look like. Yup, this is basically a house of their own and it comes with a nice, spacious bedroom, a bathroom, a balcony and a kitchenette too. I am really thankful for how a dual key unit gives us the privacy and freedom that we so badly needed. Since they have a purple theme and a white ceiling light, they decided to choose white for the U48FP and I think it fitted in perfectly. In order to make the fan more centralised, we had to drill the ceiling so as to shift the electrical point towards the middle of the room. This was in the hope of making the wind more even and for the blades to be a good distance away from the TV cabinet. It's been two months since we moved and I have to tell you, neither the hubby and I nor the parents-in-law turn on our air conditioners at night, all thanks to our trustworthy ceiling fans. So far, we have been very satisfied with the nine different levels of wind speed, three levels of LED brightness and the ease of adjusting through the user-friendly remote control. 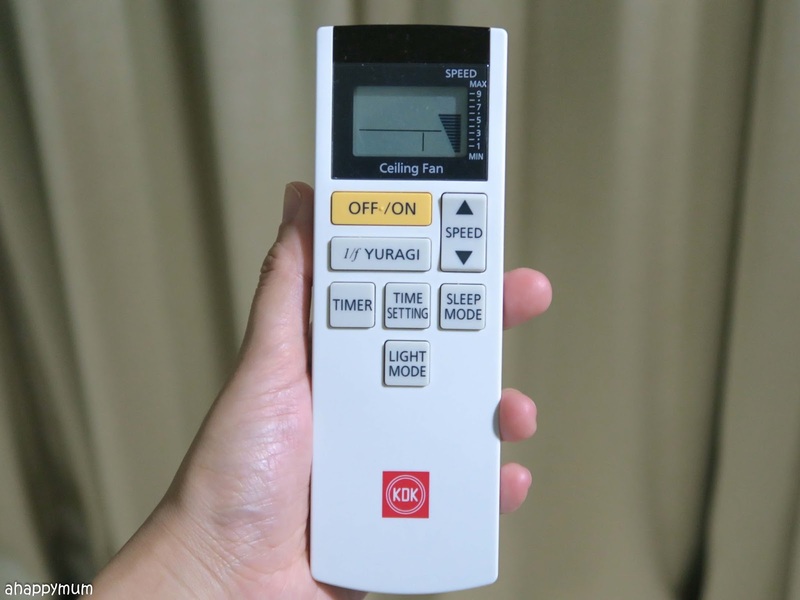 The good thing is you can also use any of these KDK remote control to control any ceiling fan in the house and that makes it easier for me because my kids are always misplacing the controls. Moving on to the kids rooms, here's a tour round the Pink and Blue rooms if you haven't read about them. I would have gladly installed the U48FP in each of them but guess what, the bunk bed doesn't allow me because it would be dangerous for the big girl to wake up and be able to touch the fan when she stands up. So for safety reasons, we could only install the fan in the boy's room which has a loft bed that isn't as tall. Here's how it looks! 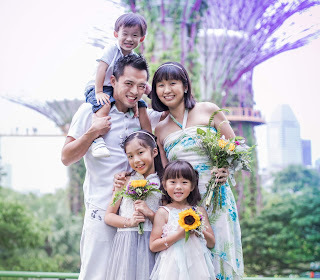 I said this in the previous post but it's important so I'm saying it again - Only Singapore KDK Models bear the Spring Singapore Safety Mark, which certifies that the products meet stringent safety standards and are 100% safe for use in your home. 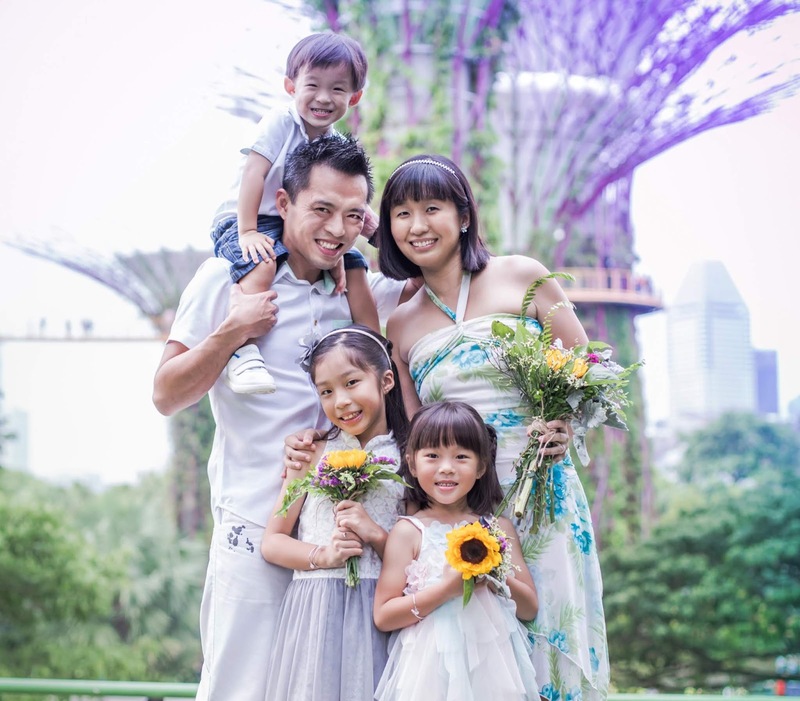 It is assuring and important for me, as a mum, to know that KDK ceiling fans feature the world's 1st patented safety design and are as childproof as can be. It can be hard to visualise whether the fan that you like fits into the room nicely, and even when you have the dimensions for both, you hardly can picture how it will eventually turn out to be. 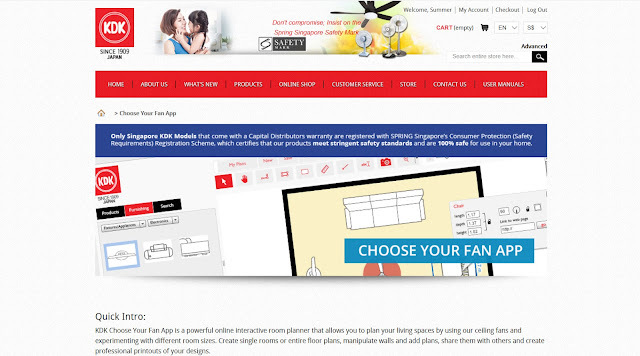 Thanks to the KDK Choose Your Fan App, which is an online interactive room planner, selecting and buying a ceiling fan can be quite straightforward. It will take a couple of minutes to register your username and password but once that is done, you will be able to plan your living space, experiment with floor sizes and different fans, add and edit plans, share your plans with others or even print out your designs. The app allows you to browse through the actual KDK ceiling fan products and view the product details at a glance. 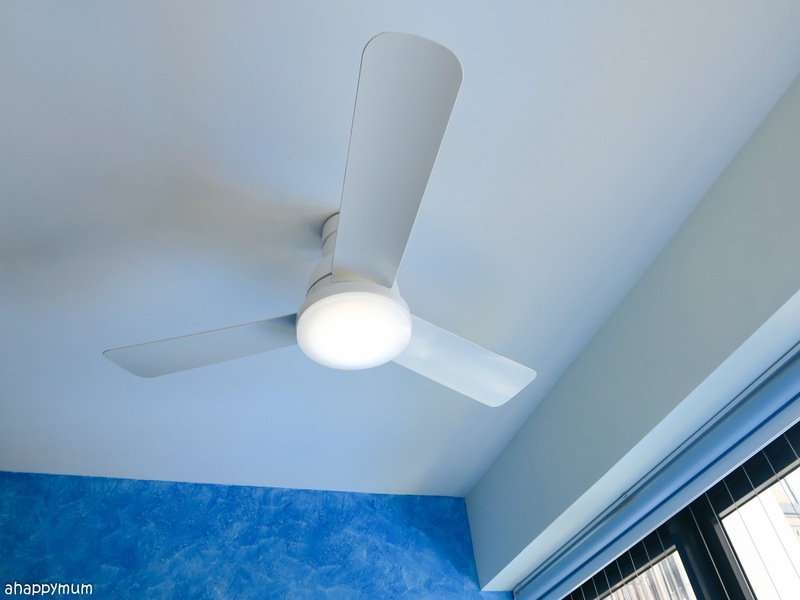 Besides the dimensions, functions and height clearance, there is also a useful list of points you need to consider when buying the fan. 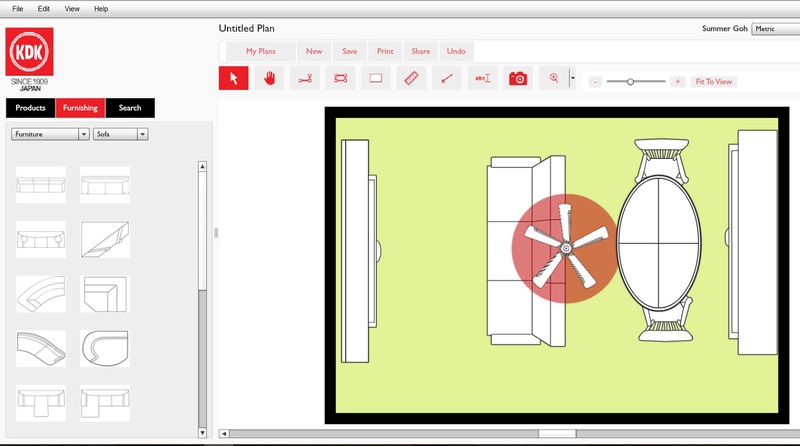 Now, you just need to drag and drop the items, which are automatically sized to their actual dimensions, onto your floor plan to see if they fit. I find it a good way to help me plan, visualise, tweak and finalise the overall layout of the room too. 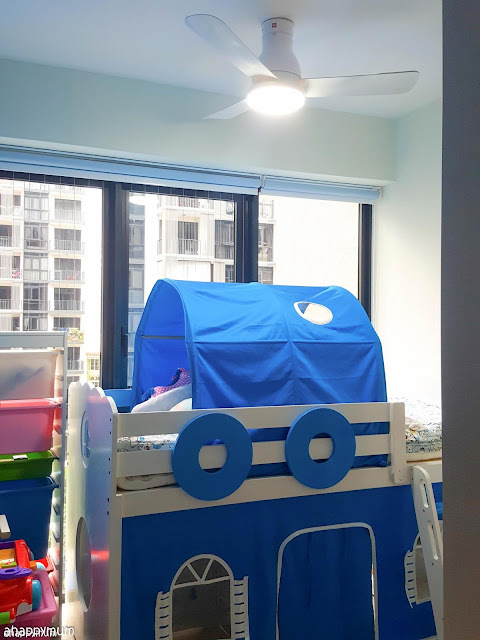 So yes, we are very happy with our KDK ceiling fans in the new home and I feel relieved for the fact that we don't have to turn on the air conditioners, other than the one for the girls when they sleep. The house is kept cool, kept safe, kept spacious and I'm hoping that it will stay this way for a long time to come. Read our review of the KDK U60FW for our living room and master bedroom here. Disclosure: This is Part II of a two-part post in collaboration with Capital Distributors and we received a KDK U48FP in writing this review. All photographs and opinions are our own. Great post you shared here with your experience with ceiling fans and how they have evolved into a necessity in home. 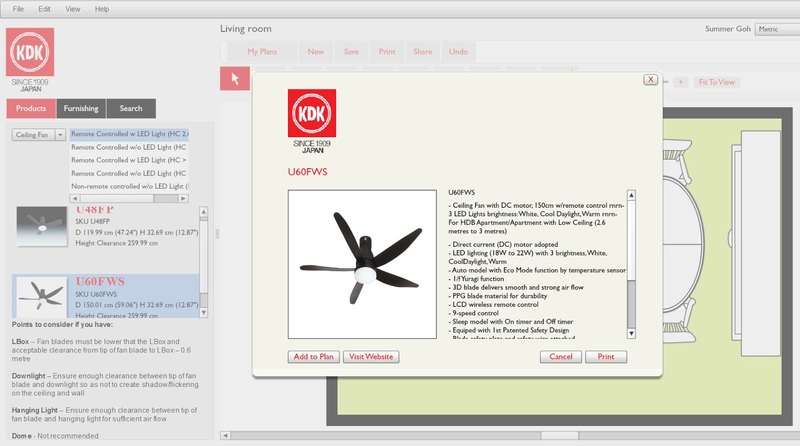 I like interior of your in-laws' studio and the good thing is you can use KDK remote control to control ceiling fan in the house. Since I am dissertation tutor and would like to share this review of fan with my interior designing students who are seeking professional business dissertation help - http://www.dissertationhelp.uk/business-dissertation/ from me and I always love to read such kind of blog and review post at my free time at Dissertation Help UK where I am currently working. Thanks for sharing such an excellent post with us.